Hachidai was a miner in the River Country. He and fellow workers Sangorou and Rokusuke fled Katabami Kinzan when the homicidal practices of Kurosuki's Raiga emerged. On their journey away, a fierce storm knocked them off a mountain and they fell into a river below. The awoke far downstream in the Fire Country, where they were saved by Uzumaki Naruto. 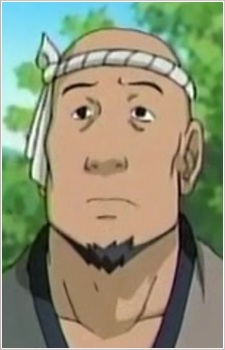 Hachidai then returned with his fellow workers when a squad was sent from Konoha to investigate the proceeding at Katabami Kinzan.